Bman is a wanderer. He will disappear in the blink of an eye. 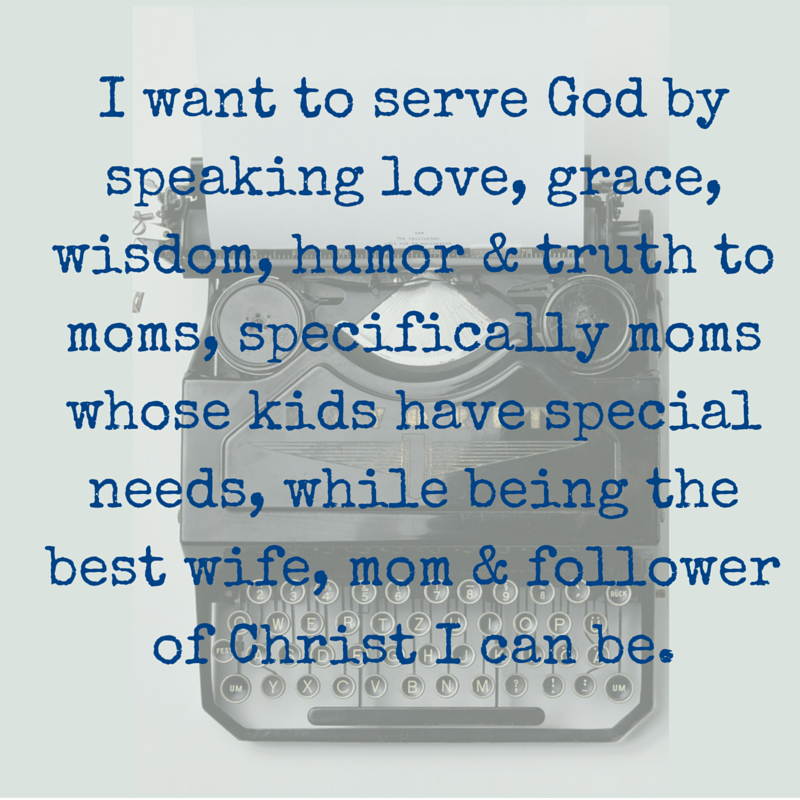 As you might imagine, this makes for lots of anxiety for this momma. He needs to be within an arms reach at all times. Last week we spread our wings a little. On Monday, we all went to the State Fair of Texas. We had never been all 5 of us together. It was a great day. The boys loved the rides and food. It was just the 5 of us hanging out all day. 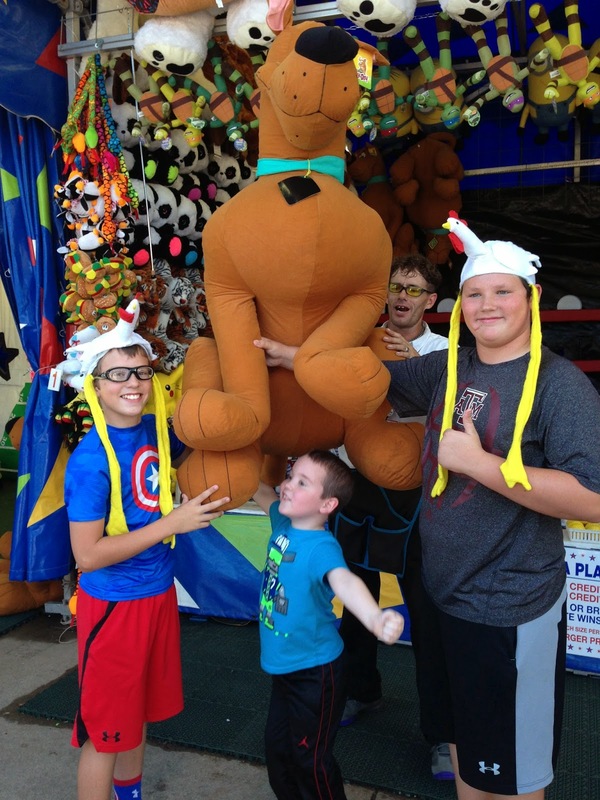 The boys (Ryan included) teamed up to win a giant Scooby-Doo. I don't think I've ever seen a bigger smile from Bman. Not only getting what he wanted but knowing that he broke two of the plates that helped earn Scooby. SB's game Thursday was away. It was actually at a field we've played at in our select football days. SB played tournaments there. Always in December and always cold and rainy. Bman had never been to the field because he's gotten to stay in from the weather. Usually, he stays in the stands and plays with whatever toys are in his bag. He did that for a little while but then he asked if he could go downstairs and play with the other kids. One of my students, and a good friend of Sam's, was down there with some of the younger kids. I asked if she could keep an eye on Bman. She said she would. I let him go down to play. We did have a minor discussion about taking his backpack full of Skylanders down but he eventually went down without them. He played, Ryan and I watched the game and took turns playing "Do you see B?" He survived. He did get lost. He played well. Sometimes playing with the other kids, sometimes alongside them. But the point is that he was out of my reach. And we both survived.